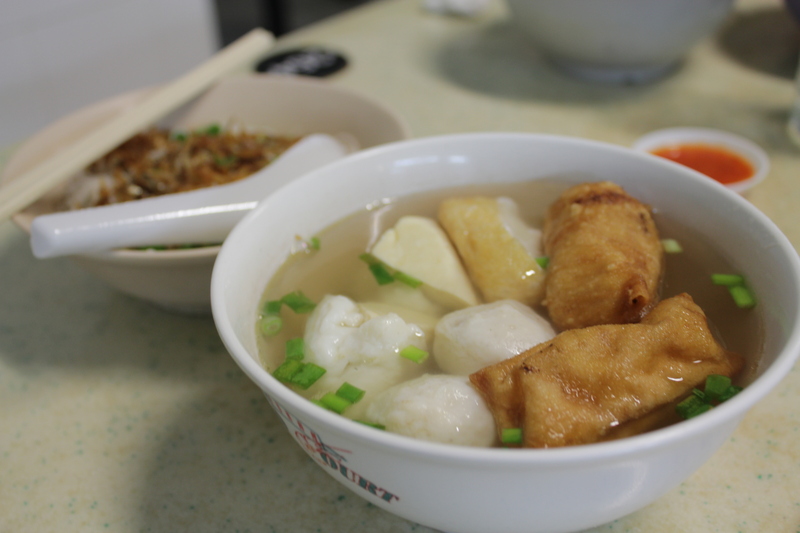 Yong Tau Foo often comes across as plain or unhygenic but the people at Xiu Ji have upped the ante with the addition of crunchy ikan bilis and a variety of handmade Yong Tau Foo. 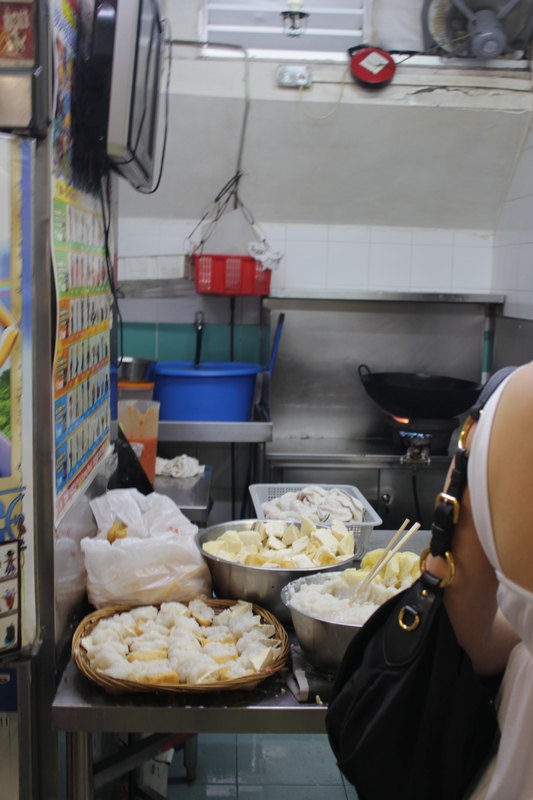 Refusing to move with technology, you can see people at the adjacent stall still using chopsticks to sandwich fish paste between the tofu. 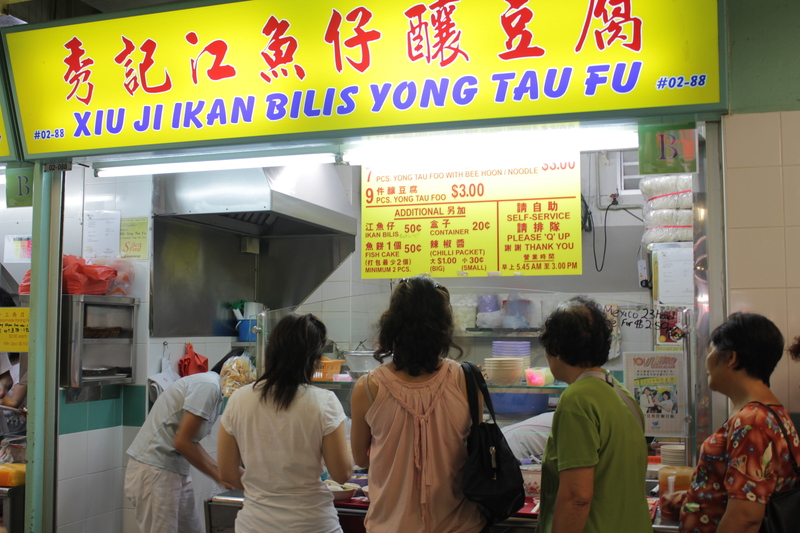 Even though the old uncle who used to helm the stall is no longer around, the long queues throughout the day have not abated and it’s not difficult to understand why. 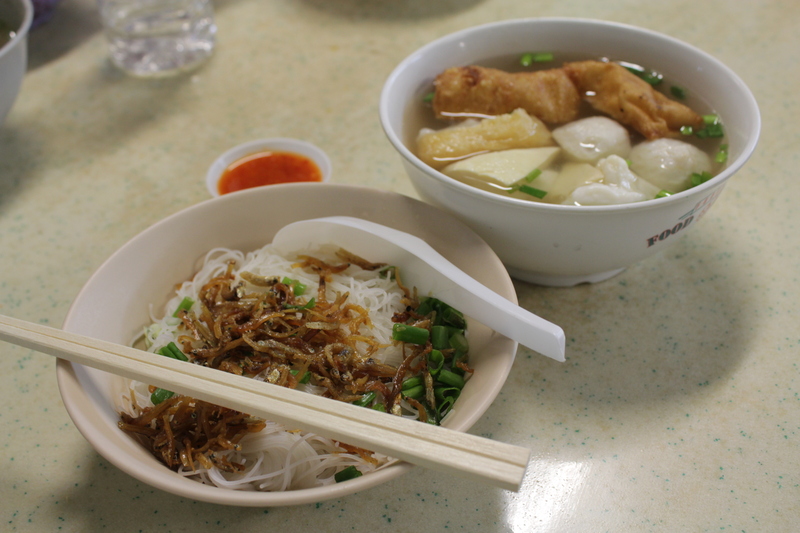 My typical order would be dry beehoon with 5 pieces of yong tau foo, which costs 3 bucks- very economical for food that has so much effort put into it in my opinion. The crunchiness of the thin strands of beehoon goes well with the delicious crunch of the tiny deep-fried ikan bilis. In this trip, I found the base of soy sauce and sesame oil a little too salty for my liking, but dousing the noodles with the soup for yong tau foo did the trick. I guess my only two gripes were 1. the lacklustre chilli which lacked the omph and 2. the presence of msg ( i was incredibly thirsty thereafter). 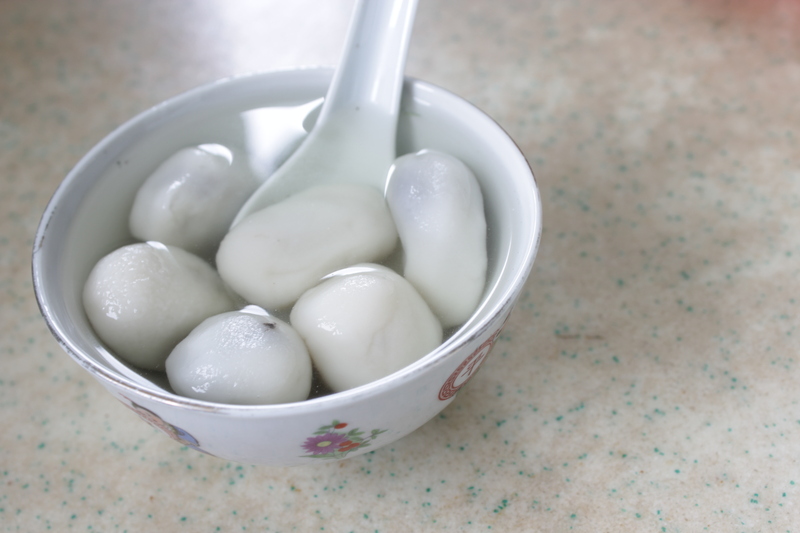 To end off the meal in a high note, it only made sense to eat the tang yuan from Hai Xing. 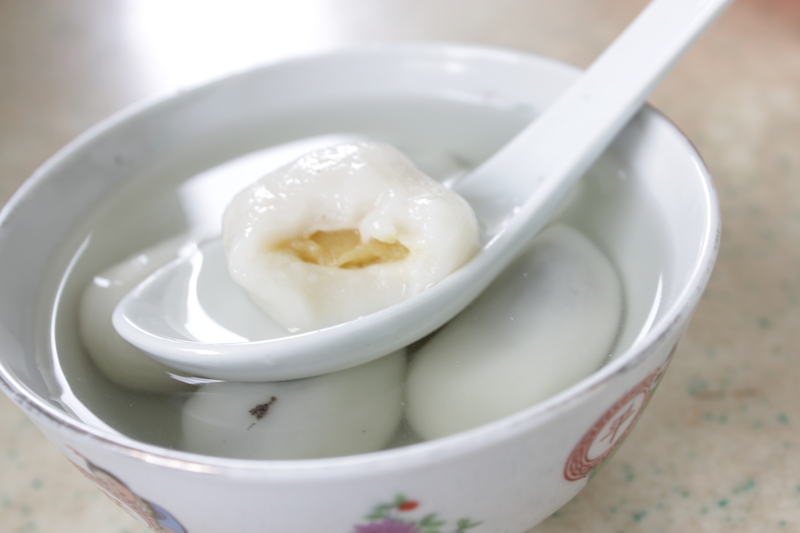 Dad loves this place because you can actually observe the uncle making tang yuan on the spot. This is notwithstanding the extensive variety of flavours they offer and their friendly service! Each serving gives you 5 tang yuans and you can choose to mix the flavours or pay a little more to get all of them as the durian flavoured. I can’t remember the price exactly but it’s around 2-3 bucks? As evidenced by the photos, the tang yuans are unevenly shaped so the skin may not be as thin as you like it to be sometimes. Nonetheless, they are a delight to chew on because of their soft texture. I can’t decide which flavour I like better because they all taste fantastic! 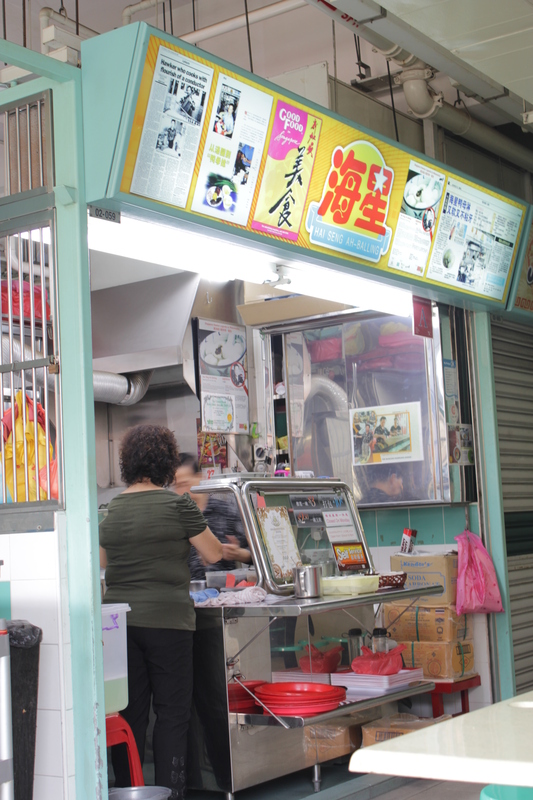 Chinatown hawker centre is one of my favourite hawker centres in Singapore simply because they have so many stalls to choose from. Plus, ventilation there is great, not stuffy like some.